This attractive two story home is situated on a cul-de-sac street conveniently located near parks and schools. 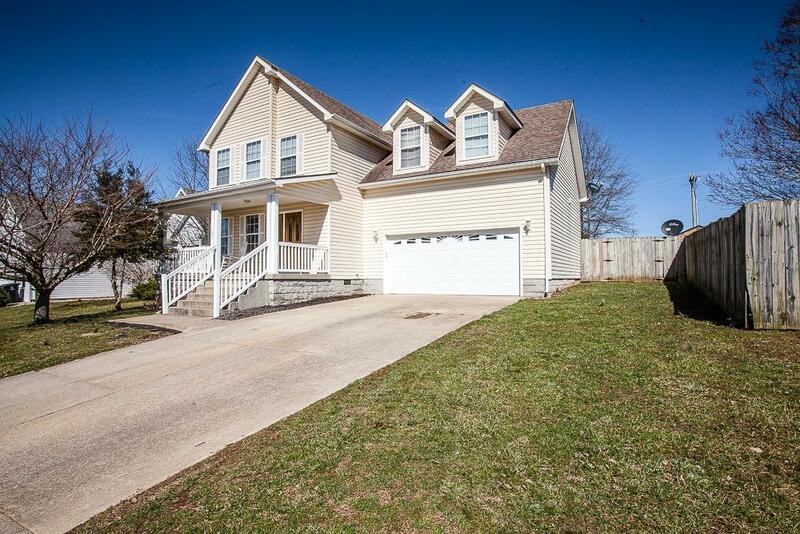 It has easy access to interstate 75 and Toyota. The generous sized family room has laminate flooring. Spacious kitchen has plenty of cabinets, a prep island and eat-in dining. The kitchen opens to a deck with two levels and a view of the large privacy fenced back yard. Half bath and laundry area complete the line-up for the first floor. The owner's en suite bedroom on the second floor offers a walk-in closet with private bath. The other three bedrooms and full bath are also located on the second floor. Other features include a covered front porch, two car attached garage, and above ground pool. Don't miss the opportunity to own this comfortable home. Buyers to verify school information for the 2019-2020 school year.